Sponsors & Support: PMI, Postal Mopar, MRL Cranes, Ince Race Cars, Goldfuss Fab & Shocks. 2017 - 11th in Junction Motor Speedway NeSmith Late Model Points with 3 heat race wins, 1 heat race win at Lexington Raceway. 2012 - 20th in Mid-Nebraska Speedway Grand National Late Model Points. 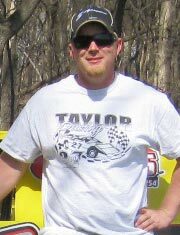 2007 - 9th in Junction Motor Speedway Open Stock Car Points. 2005 - 14th in Junction Motor Speedway Cruiser Points. To finish and have a good time.